In June this year (2018) we were extremely shocked to learn that SUA Brewery has suddenly closed its doors for good, stopping all production and at the time not supplying any remaining stock. 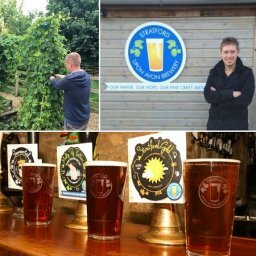 A very popular, relatively new Brewery started in 2013 by Richard Williams, supplying up to 90 pubs at the peak, right on our door step here in Shakesbeer branch, producing some very interesting and exciting beers which were receiving great acclaim. Loved by many in the branch and engaged with the branch very early on moving on to be a big supporter of the branch beer festival for several years. The cause of the sudden closure we are told is unfortunate family circumstances and pressures. We understand the brewery kit and brand name are possibly up for sale at this time and the Stratford Ale House continues to sell through the last casks. We wish Richard all the very best for whatever ventures he gets up to.